Luminex Nanoshphere Verigene Processor SP 10-0000-07 Extract Purify Hybridize . New Life Scientific, Inc.
Our on-site New Life Scientific technicians visually inspected the unit, powered it on and it went through initialization sequence without any problems. We don’t have a compatible reader to further any testing. The processor comes with its OEM box; very little wear is visible on this unit. 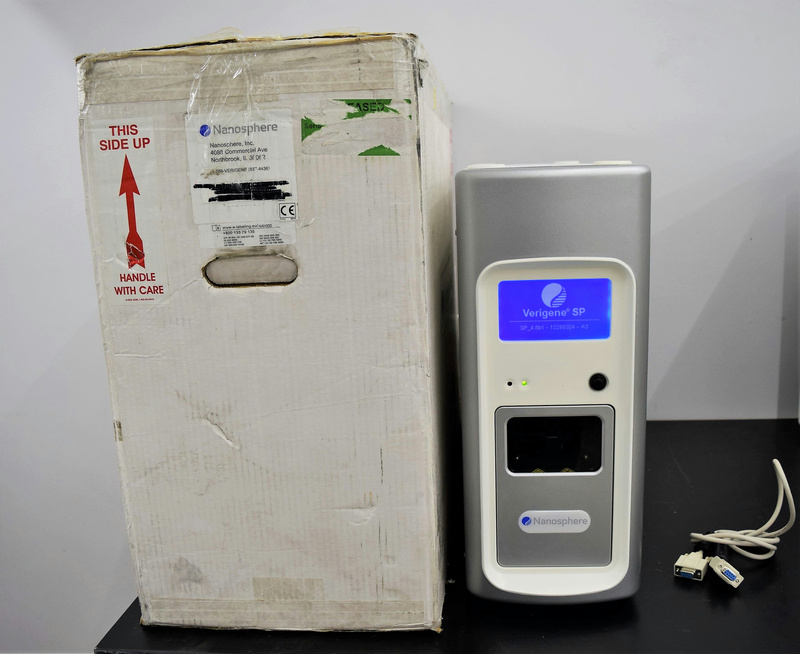 The Verigene Processor along with the Verigene Reader (not Included) enables clinicians to rapidly identify the pathogens responsible for some of the most complex, costly, and deadly infectious diseases. Very little wear, in excellent condition. Comes in OEM box.